“I would be OK with not vaccinating my grandkid,” he says. That’s something a large number of Oregon parents like hearing. Years ago, Paul Thomas stopped socializing with other pediatricians. All doctors, really. "I avoid them because they give you that 'you dumbshit' look," he says. "They look down their nose at you like you're the scum of the earth. You can only expose yourself to so much abuse. Like, who needs this?" 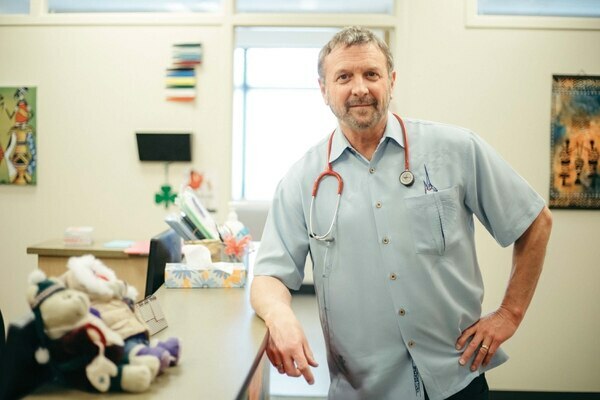 Thomas, 61, is an Ivy League-educated pediatrician with more than 30 years of experience. He's built a robust Beaverton practice and is the author of an influential book. He is also Oregon's leading dissenter from scientific consensus. He is on a crusade, one many Oregonians blame for reviving measles and sparking outbreaks of whooping cough in the 21st century. He's the doctor who tells Oregon parents they aren't crazy: that their suspicion vaccines cause autism is true. "I would be OK with not vaccinating my grandkid," he says. That's something a large number of Oregon parents like hearing. Oregon ranks low for vaccinations. 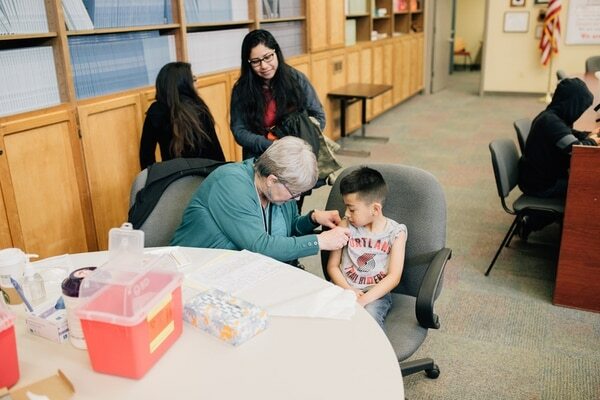 A 2018 study by the Centers for Disease Control found that Oregon had the highest rate of kindergartners with a nonmedical reason for getting an exemption from one or more vaccines. In California, less than 0.1 percent of kindergarten students had such an exemption; in Oregon, 7.5 percent did. To get out of vaccinating their kids, Oregon parents must either watch an informational video or consult with a doctor. Then they can claim a nonmedical exemption, citing their beliefs. The recent outbreak that infected 73 kids in Washington and another four in Oregon has brought national infamy and needlessly exposed kids to the disease. "We're going to get a measles death at the rate we are going," says Mark Crislip, an infectious disease physician with the Society for Science-Based Medicine. When Oregon parents want a doctor who won't push vaccines, Thomas is whom they see. Thomas says his Beaverton clinic has more than 15,000 patients. He oversees eight doctors and nurse practitioners who all share his philosophy. His anti-vaxx bible, The Vaccine-Friendly Plan, has sold 40,000 copies in three years, he says. Amazon lists his book as its No. 1 best-seller in the vaccinations category. Thomas has his own YouTube channel, with nearly a million subscribers listed, and hawks vitamins and supplements. "It's not for nothing that I've referred to him as a rising star in the anti-vaccine movement," says Michigan physician David H. Gorski, managing editor of Science-Based Medicine, a journal that works to dispel misinformation about medical science. "It's all there," Gorski wrote in a 2018 blog post, "starting with the favorite anti-vaccine claim that children today are not as healthy as they were in the past. A physician should know better than to make an argument this blisteringly stupid, but apparently Dr. Thomas doesn't." In Oregon, Thomas' belief can no longer be described as a fringe movement. In the Capitol, state lawmakers are trying to eliminate nonmedical exemptions. 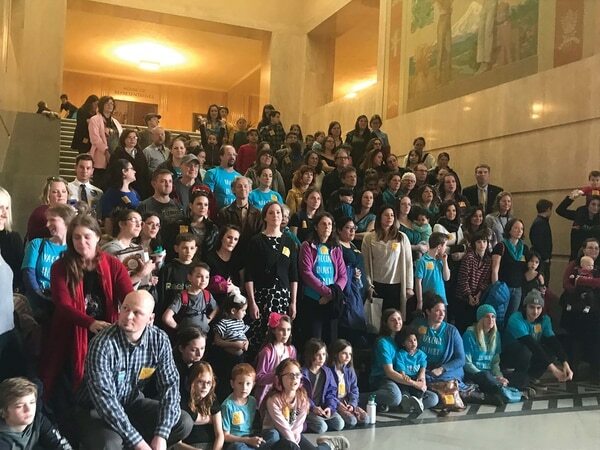 But last week, more than 100 outraged mothers who opposed that legislation crowded a Salem committee room, the overflow room and the hallway. 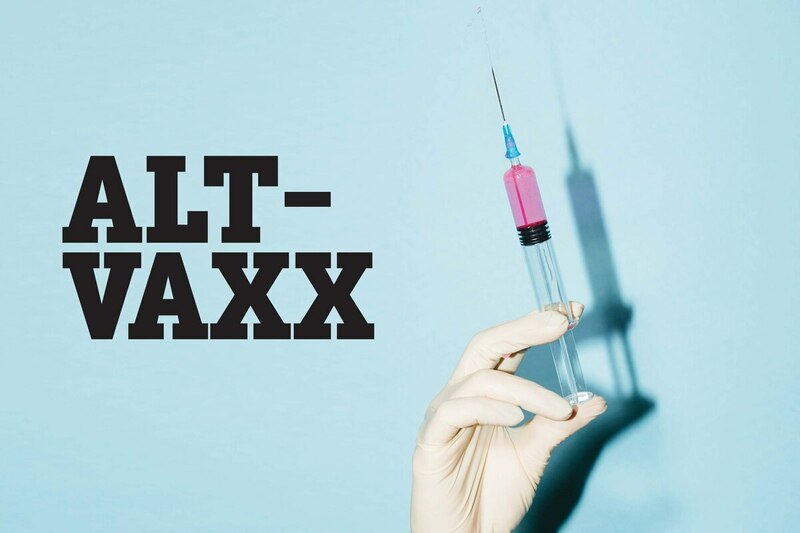 Oregon is now a national battleground for the anti-vaxx movement. And "Dr. Paul," as he calls himself, is its king. Last month, a CNN business reporter spotlighted his book as "disturbing from a public health and misinformation perspective," writing that it was misleading and suggesting that Amazon should pull it from its digital shelves. He welcomes the free publicity. "[My publishers] are just printing another 10,000 since CNN called for a ban," says the doctor. "So thank you, CNN." Beliefs like Thomas' are a leading threat to public safety, says the World Health Organization. But his appeal shouldn't be dismissed lightly. He appears sincere, and he takes seriously the fears of people who are afraid of vaccines. And those doubts often come from a genuine skepticism of authority. The trouble emerges when Thomas' unsubstantiated fear-mongering and internet conspiracy theories get equal weight as rigorous scientific study. "Frankly, I have difficulty placing my trust in certain large corporations or institutions," says Multnomah County Commissioner Sharon Meieran, an emergency room doctor. "But in some cases, there really is such a thing as objective evidence, and data that is clear, and facts that are not alternative facts." Unlike other health decisions, measles is contagious. Vaccines are not 100 percent effective. When more people get them, there's less chance of disease spreading. 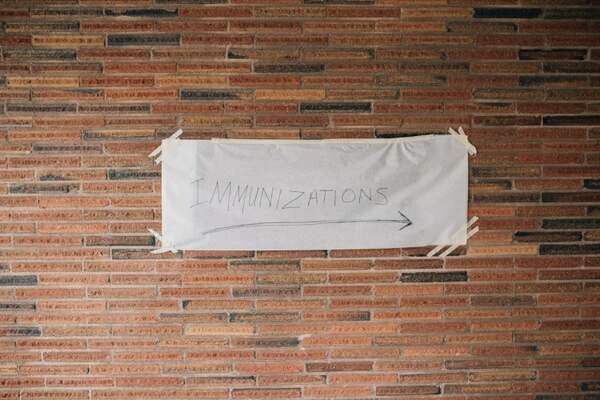 Children who can't get vaccinated because they suffer from diseases such as cancer and lymphoma can no longer safely go to museums or the ballgame or the airport. Dr. Jay Rosenbloom, a pediatrician with Pediatric Associates of the Northwest, says he regularly sees parents who previously went to Thomas. "They want to protect their kids from these diseases, and he tries to pressure them out of it," Rosenbloom says. "The problem comes with people who close their minds to true cause and effect and create their own reality." Thomas' clinic is a most unlikely bunker. The office of Integrative Pediatricians, on Southwest Barnes Road in Cedar Mill, has two cream-colored waiting rooms, one for sick patients and one for healthy kids. The office has a sea theme with a line of fish swimming down the hallway wall. "Safe passage in a changing world," reads the lettering behind the front desk. Thomas, tanned to a slight sunburn, is a fit 61, biceps bulging from a brightly patterned short-sleeve dress shirt suitable for a cruise director. But Dr. Paul (his chosen appellation, equal parts friendly pediatrician and aspiring TV celebrity) is a leading light among what are commonly called anti-vaxxers. His preferred term: "pro-informed consent." He sounds sensible. He believes in global warming. And his parenting advice is common sense: What works for one kid may not work for another; moms should go back to work if that's what they find fulfilling. In his book, he provides guidance that is solidly in the mainstream of current best practices: Parents should feed their kids healthy foods, keep their babies on their backs on firm mattresses to sleep, and see they get plenty of vitamin D.
Few of Thomas' peers would object. But he departs from overwhelming scientific research when he says he believes, despite voluminous peer-reviewed studies to the contrary, that childhood vaccines cause autism. Thomas describes himself as "local boy does good." He pauses and smiles. "Or bad, as others might say." Thomas was born in Portland and grew up in Rhodesia, the son of missionaries. He graduated from the University of the Pacific in California with a degree in biology, then Dartmouth medical school. He vaccinated his own five children on schedule, he says. He watched the benefits of immunizations as a medical resident in California, as a new meningitis vaccine worked wonders. But when he returned to Portland to begin practicing as a pediatrician, four cases shook him. In four consecutive years—2004 through 2007—a different patient developed autism between annual appointments at 1 and 2 years old. "The first time it happened, I just didn't think a thing about it," he says. "By the fourth time, I remember it like it was yesterday. I'm trying to get his attention: gone. Totally gone. He had lost the few words he had had at 18 months, and he was looking right through you, I mean no eye contact. And I knew I had another case of severe autism, and I just about cried." Thomas looked into medical journals for a link. In 1998, the premier U.K. medical journal The Lancet published a study suggesting a possible link between the measles, mumps and rubella vaccine, or MMR, and autism. That work has since been completely discredited and the study retracted. But at the time, it was considered a valid hypothesis for future study. "I can't do this anymore," Thomas recalls saying to himself. "Four coincidences in four years. Shame on me that it took that long." He decided he no longer wanted to push patients to give infants the first vaccine at birth. He left the Portland practice where he was working, in what he likens to an "amicable divorce." And he started his own solo practice, Integrative Pediatrics. Thomas helped found the national organization of medical practitioners who also believe vaccines are dangerous—Physicians for Informed Consent, which was started after California passed its mandatory vaccination law in 2015. Thomas' approach has not been tempered by the addition of more research showing no link between vaccines and autism. A recent study, out of Denmark, showed yet again there is no link between autism and the MMR vaccine that children are prescribed starting at 12 months. But Thomas protested, posting on Facebook on March 8: "Another poorly done study," he wrote, "attempting to confuse you into thinking that the MMR has nothing to do with autism." There is not a single peer-reviewed study to back him up. No study has found a causal connection between vaccinations and autism. "It has been scientifically disproven over and over and over and over again," says Dr. Sharlene Matthieu, a pediatrician at East Portland Pediatric Clinic. On March 14, just before 5 pm, a hundred women stood on the steps in the Oregon Capitol rotunda and sang "The Star-Spangled Banner" in a display of patriotic protest. A House of Representatives committee had just voted to approve the bill that would require children to be fully vaccinated to attend school after August 2020 if they don't have a medical exemption. In the wake of the Washington outbreak, Rep. Mitch Greenlick (D-Portland) introduced House Bill 3063, which would make vaccines a requirement for school, with only strict medical exemptions allowed. That would eliminate the philosophical and religious exemptions employed by most people who visit Thomas' practice. Polling suggests a small but significant percentage of Oregonians believe the vaccination-autism myth. In a January 2018 poll by DHM Research, 14 percent of Oregon residents "strongly" or "somewhat" agree that "vaccines increase the risk of children developing autism." Among those watching the hearing were parents who had decided not to have a primary care doctor for their child—because that doctor would require vaccinations. Multiple women cried over the decision. They said they had children who exhibited even extreme allergic reactions after a vaccine, including permanently disabling seizures. Crislip, who tracks the anti-vaccine movement, says Democrats have little choice but to force people to choose the greater good. When California passed a similar law, the vaccination rate climbed: Before the law passed, 36 percent of children lived in counties with a vaccination rate for kindergartners below 90 percent. After the law, less than 0.5 percent did, The New York Times reported. "The U.S. has always preferred freedom over being alive, be it vaccines and guns or whatever," says Crislip. "The data suggest the harder you argue with people the more likely they are to resist you, so I don't know what the solution is outside of mandating vaccines in certain populations." Thomas' eyebrows knit in worry as he discusses Greenlick's bill. "Herd immunity is working just fine,"he says. "They are using this 'crisis' to push their agenda that those last 5 percent who aren't vaccinated must be forced to be vaccinated." Among the protesters in Salem last week was one of Thomas' patients. The Portland-area mother said she learned of Thomas from the midwives who attended her third childbirth. She declined to provide her name, citing a fear of online bullying. "He really values his patients' opinion," she said, speaking of her own experience with the doctor, but also her children's. "He validates them, too. He gets down on their level." In 2017, a 6-year-old Oregon boy contracted tetanus after his parents failed to vaccinate him. He became national news this month, after the Centers for Disease Control and Prevention released a report on the case—tetanus hadn't been seen in an Oregon child in more than 30 years. The child stayed at Oregon Health and Science University's hospital for eight weeks, racking up a medical bill of $811,929. When he left the hospital, he once again did not receive the vaccine. The pediatrician that consulted with the family and signed his discharge papers? Dr. Paul Thomas. Thomas says the family called him but declines to say more, citing patient confidentiality. He parries back with his own math—what's $800,000 compared with the money spent each year on vaccines? "We're talking billions." Related: Doctors are trying a gentler approach to persuade vaccine-skeptical parents. Not all patients are satisfied. Leah Klass, 42, started visiting Thomas for her first daughter on the recommendation of her neighbors. "It was a beautiful office, clean and calm," she recalls. "The staff are friendly—all the reasons you go to the doctor." When her second daughter was born, she went in for the first appointment for vaccines. Thomas told her to sign a paper saying she wanted to forgo the vaccines. "He says wouldn't I feel terrible as a mother if my child later developed autism and wouldn't I feel terrible if I could have prevented it? I'm holding a 6-week-old baby and exhausted." Klass never returned to Thomas but wonders about his effect on other families. She sees recommendations of him often in her neighborhood moms' group. "He's manipulating them," she says. Klass thinks the Oregon Medical Board should investigate Thomas. "He's actively prohibiting a normal vaccine schedule," she says. Gorski, the Michigan doctor and journal editor, says medical boards should do more: "One thing that's frustrated me about anti-vaccine doctors, be they in California, Oregon, or wherever, is the reluctance of state medical boards to discipline them for not practicing according to the standard of care and putting patients at risk from vaccine-preventable diseases." The medical board declined to comment on any specific investigations, but said it has never revoked a doctor's license for advising against vaccines. Experts say Thomas is unlikely to be stripped of his license. "We in the state of Oregon allow a lot of lousy medical practice," says Crislip. "Oregon is very liberal—it's one of the reasons I love this state—but to the point where we let people with absolutely no medical training that's worth a damn practice as primary care doctors. So why would we single out a pediatrician who is doing something questionable?" Thomas' peers say he's a menace, partly because he wears a white coat. "If you're sitting in a crowded movie theater and someone yells fire, some people might get up and run out," says Dr. John Kilty, a pediatrician at the Tualatin office of the Children's Clinic. "If a guy in a fire marshal uniform comes in and says 'There's a fire here,' you're going to react differently. It's extraordinarily frustrating." WW news intern Allison Place contributed additional reporting to this story. The nonprofit WW Fund for Investigative Journalism provided support for this story. 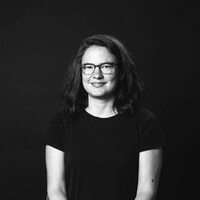 Rachel Monahan joined Willamette Week in 2016. She covers housing and City Hall.